Chic loft living in the heart of the hip Arts District of Marina Del Rey. Upon entry one is immediately struck by the soaring 17' ceilings throughout the downstairs area of the loft. Downstairs is an open floorplan with a sleek modern galley kitchen, tons of windows flooding the living room with natural light, a bathroom, and a fully enclosed bedroom area. There is also an additional "bedroom area" as well downstairs, currently used as an office. 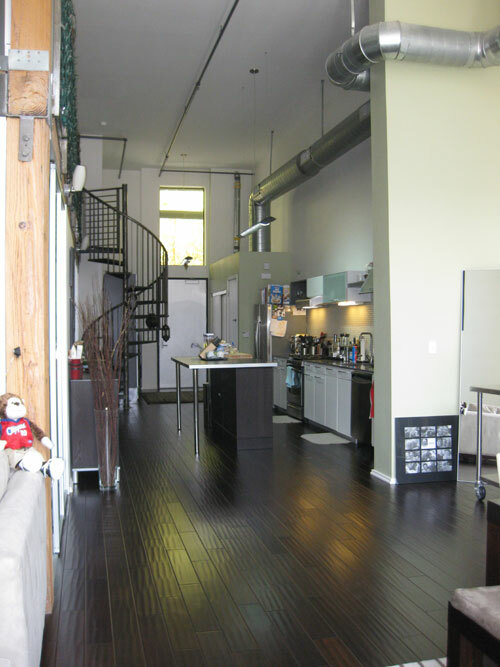 A cool industrial spiral staircase takes you to the second floor master bedroom area and modern bathroom. Large outdoor patio as well to compliment this stunning loft. Lying in a great westside area close to LAX and the beach, this is a great opportunity to own a hip loft in a prime location. If you would like to see this cool loft in person, please feel free to contact us anytime @310.600.9172 or email eric@smilayproperties.com.